I have to admit right off, that I’ve never been a natural skin care sort of person. By that I mean that I always bought my skin care. I have always used face washes, face masks, moisturisers that come in a packet or a jar, rather than from my kitchen. And never ever did I think that I would make the shift to using mostly natural skin care. I still do use commercially available skin care these days. But I am very particular about what I put on my skin these days. So what prompted this change to natural skin care? 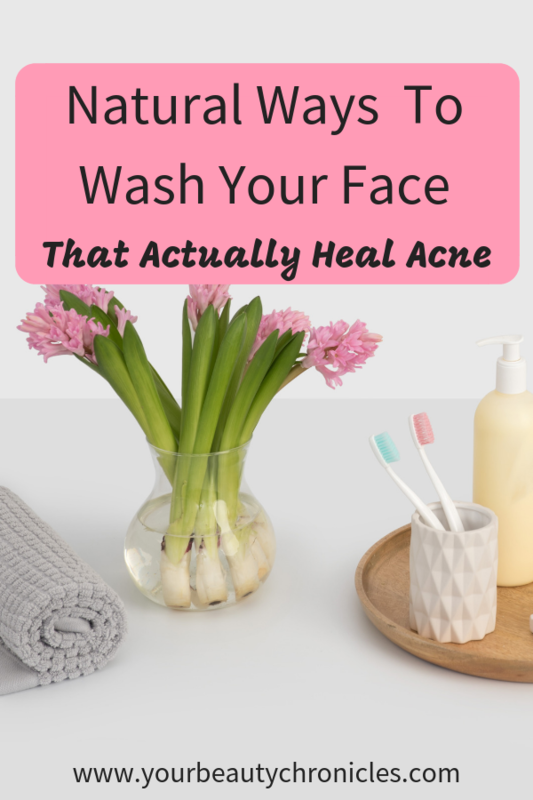 I will explain this in this post as well as give you tips on natural ways to wash your face. I’ve always used soap or face wash on my face. All those years I had acne, I used a face wash. Twice every day, every single day. Some of these soaps or face washes were recommended to me by my dermatologist. So there was no doubt in my mind at that time, that they were actually good for my skin. Even though I never saw any positive change in my skin, I used to feel they were doing their job. The reality was something else. My skin looked horrible. It felt horrible too. Have you ever had the feeling your face would crack and bleed if you so much as smiled? I felt like that all the time. My skin was so sensitive I hated even the thought of washing my face. But I was terrified of stopping, as when you have acne, you think you have to do all these things to keep your acne in check. However, one day it was all too much for me, so I just stopped. I think my skin had just given up on me. My first thought was whatever happens if I stop, it surely can’t be worse than what was happening then. My skin was flaky and dry, but felt oily and sticky at the same time. It looked red and felt tight. It stung every time I talked or smiled. I think I had tiny cracks in my skin. When I went out into the sun, my skin actually felt like it was on fire. So whatever happened if I stopped, it could not be worse than this. And guess what, it wasn’t! In fact it was nothing like I had imagined. We always tend to make things worse in our mind that what they actually are. 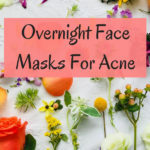 I thought that when I stopped, my acne would get worse and the oiliness on my skin would be out of control. My acne started healing better and the oiliness was much less. That sticky feeling I used to get was no longer there. So Do You Really Need to Wash Your Face? You don’t need to wash your face twice a day, every single day with face wash. I get this question from my readers asking me “Should I wash my face in the morning?” all the time. If all you have been doing at night is sleeping, then no. But if you have been working in a coal mine during the night, then yes. Just sleeping is in no way making your face dirty. Your face is not so dirty that you need to keep washing it all the time. Acne is not dirt and neither is it caused by dirt or a dirty face. You cannot just wash acne off. If you could, you would not be here reading this and this blog itself would not exist. So there is no need to wash your face with soap or face wash if you’ve not used makeup. A simple cleansing with water should be fine. Yes, you read that right. Face washes are not controlling your acne or helping it heal. In fact they may be doing the opposite and making your acne worse. When you use soap or face wash, even the ones that say soap free, you’re stripping your skin of its natural oils. The more you wash, the more oily your skin will be. You see how this can turn into a vicious cycle. The oil is there for a reason, to protect your skin and keep it moisturised. Even if you do not have acne and you stop using face wash you will see lots of benefits on your skin. For one, your skin tone will be much more even. Your complexion will not be blotchy. 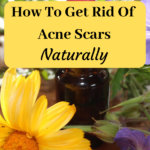 If you have acne, this might be the first step to clearing and healing your skin. You see those women with soft, dewy skins. When you use face wash you’re washing off the moisture that creates this soft dewy look. So stop washing your face needlessly. It’s as simple as that, really. 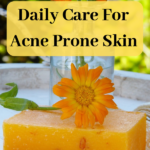 If you have acne, you’re familiar with the constant redness that comes along with acne. This redness gets worse when you’re constantly stripping your skin of its protective sebum or oil. Your skin responds with a constant red look, that does not look healthy at all. Also as you constantly wash your face, it is going to get very dry. It may not look like it today but it is going to happen. You’re going to reach a stage where you have dry flaky skin and yet your skin feels oily. Once your skin reaches this stage, you’re going to develop minute cracks in your skin. This cracks expose your skin to dust, pollution and bacteria. These cracks will get worse each time you wash. You’re going to feel like your face is stinging or burning. When you go into the sun trust me, it will feel way worse. You don’t really want your skin to reach this stage. Fixing this might take a long time and I’m not sure what damage can be reversed and what can’t. There might be damage that is not visible to the eye, that might show up years later. So if you want great skin, the face wash is going to have to go. Oily skins generally tend to have bigger pores. Bigger pores means more oil. The more you wash, the more oil your skin produces. This generally tends to go into a very vicious cycle. If you stop using face wash, your skin will produce less oil and your pores will shrink. Just try it out and see for yourself. Washing off excess oil from your skin because your skin is oily makes sense. However that oil or sebum is there for a purpose, to protect your skin. It acts as a barrier between your skin and the environment. You use sunscreen to protect your skin from the sun. In the same way the sebum protects your skin from bacterial and fungal infections. It keeps moisture in your skin and prevents it from drying out. It also prevents water from getting in. When you have excess sebum it mixes with the dead skin cells and blocks the hair follicles causing acne. 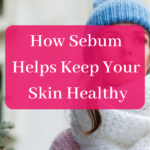 Whatever you do, your skin is going to keep producing sebum, whether you like it or not. Washing with face wash is not going to help or stop it. The more you wash, the more it will produce. The common advice of washing your face twice a day, actually works against you here. So if you want skin that is less oily, stop washing off the oil. Your skin will regulate its oil production. No, your skin might be extremely oily and sticky for a while but slowly but surely it will get better. So now that I’ve laid out the benefits for you, let’s see how we can actually clean our faces without using a face wash.
Do keep in mind that if you use makeup you may need to use a makeup remover to completely remove every last trace of makeup from your skin. 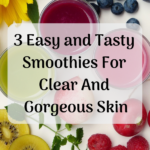 However, I’ll give you a few ways to remove makeup naturally as well. Here are some natural ways to wash your face that will clean your skin without stripping it bare of its protective layer of sebum. They will also help your acne heal. The difference between a face wash and any of these natural products is that face wash has the ability to dissolve your sebum completely leaving it dry. 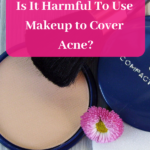 Natural products can’t do that, which makes them ideal to use in your skin care. The less the sebum is washed off, the less oil your skin will produce. The best option for washing your face is plain tap water. If you have not used makeup, you do not need any heavy cleansers to wash your face. If you’ve been at home or in a relatively clean environment, all your skin needs is a splash of water. Washing your face with only water works really well as water just refreshes the face without drying it or stripping it of its natural oils. Raw organic honey not only helps clean your face but it also helps heal acne. Honey is antibacterial and has anti-inflammatory properties. It removes dirt from your face but does NOT leave it dry and itchy. In fact honey will actually soothe your skin and leave it feeling soft and moisturised. This makes it the best natural face wash for sensitive skin. Use raw, organic honey which you can leave by your bathroom sink. Apply a small coin sized amount all over your damp face. Massage it in gently with your fingers. Wash off with cold water. If you want and have the time, leave the honey on your face for at least 10 minutes before you wash it and it will do wonders for your skin. Aloe Vera is excellent to heal wounds and burns. It is an anti-inflammatory and has healing properties. It helps remove dead cells and grime from your skin. You can use these properties to help heal your face while cleaning it. Take a dollop of aloe vera gel and gently spread it all over your face. If you have the time, let it sit on your face for about 5 – 10 minutes. Wash off with plain water. Clay has the ability to exfoliate your face and remove clogs from your pores. This makes clay one of the natural ways to deep clean your face and makes it a very effective natural face cleanser for oily skin and acne prone skin. Used regularly clay will balance out the oiliness on your skin and bring it much closer to being normal, that is not too oily or dry. 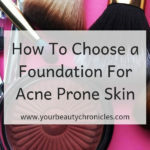 Now when it comes to acne, not all clay is equal. The best clay for acne prone skin is bentonite clay. You can buy it from here. Now, you cannot mix clay and water and store it as it would turn into a hard rock! There are 2 ways to use it……. First, you can mix it whenever you need it with water and apply it all over your damp face very gently.Massage in a circular motion. Do not rub or massage too hard. Wash off with plain water. Second way is to mix it with jojoba or rose hip oil and keep it in a jar. If you’re using rose hip oil you can get this one. If you’re using jojoba oil get this one. Mix 4 tablespoons of clay with 3 tablespoons of jojoba or rose hip oil. Add a drop of tea tree oil and store it in a jar. You now have your own homemade face wash for acne. 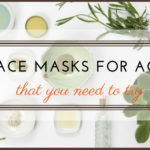 To use just scoop a little bit and apply it to a damp face. Spread all over and massage it in gently in circular motions. Avoid getting the clay in your eyes. Wash off with plain water. Yogurt has bacteria in it which helps fight inflammation. Acne starts with inflammation. The lactic acid present in yogurt exfoliates your face and dissolves excess sebum to leave your skin clean and smooth but not dry. Use plain or Greek yogurt and not the flavoured or the low fat kind as a natural face cleanser for acne. Splash some water on your face. Take a dollop of yogurt and apply it all over your face. Massage gently. Leave it on for about a minute or 2. Now wash your face with plain water. I’ve written a lot about the oil cleansing method and how it has helped me. However, it may not be for everyone. I also recommend that when you have active acne you stay clear from this one. Don’t start trying this out for the first time when you have acne. 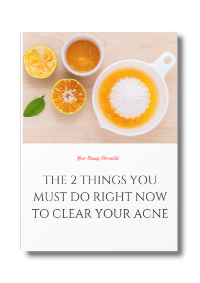 Wait till your acne starts to heal or preferably heals completely. If you want to know more about this just click here. If you use makeup you need to remove it all at the end of the day. It takes a little effort to remove makeup naturally. You can remove eye makeup with a cotton pad and oil. Soak a cotton ball or pad with oil and wipe it gently over your closed eye. Do not pull or tug hard. You might need to do this multiple times before you get all the makeup off. To make a natural makeup remover mix equal quantities of honey and jojoba oil and apply it all over your damp face. Honey on its own is not strong enough to remove makeup. You need the added boost from oil. Leave the honey and oil mix on your face for 5 minutes. Massage gently to dislodge any stubborn makeup. Wash off with cold water. Now apply the mix again, massage gently and wash off. The double cleanse is just to make sure we’ve got off all the makeup. 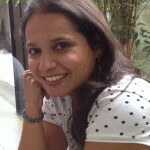 I hope this article helps convince you to make the switch to natural skin care. I promise you, your skin will look much better. I’ve come to realise how bad soap based cleansers are for your skin. They do nothing to make your skin look healthy. As with everything the trick is to start slowly. Start doing this maybe on a weekend. Observe your skin the next day. For the first few days after making the switch your skin may look extra oily and sticky. You need to push through this phase. It might take a week, but your skin will get used to the fact that you’re not stripping it of its oil all the time and stop producing excess oil. Let me know in the comments how it has worked for you. Also let me know if there is an alternative way you use or if you know any natural face wash brands.